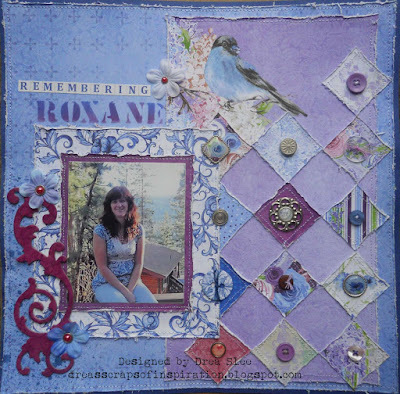 The beautiful new Bo Bunny Secret Garden I Want It All Bundle can be used for more than just Spring and Easter projects, like I did here for this memorial layout of a friend who passed away a few years ago! 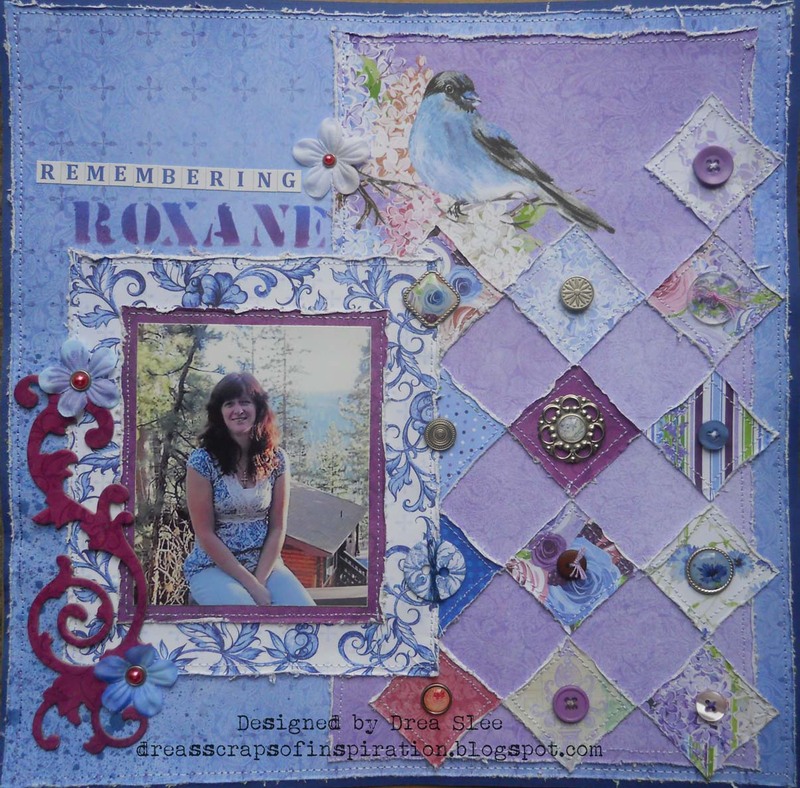 I've been keeping this special photo for just the right collection, and love that I found matching papers for her shirt and jeans, and colors that I know she would love, with the Secret Garden 12 X 12 Collection Pack. 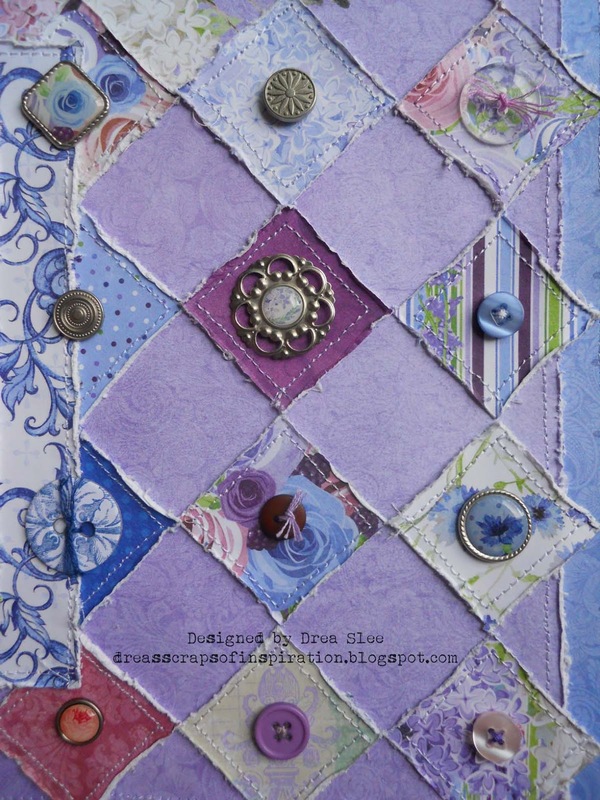 By using the left side of this 2 page sketch , I was able to showcase some of the fabulous papers and embellies by using 1 1/2" squares to create a quilt design along the right. All of my paper edges were distressed with the Tim Holtz Paper Distresser , and finished with machine-stitching along the edges. 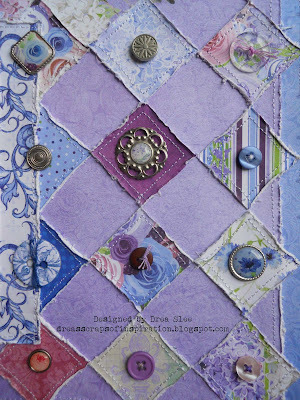 I also used papers from the Ephemera, along with some of the Brads and Buttons, in addition to the flowers, which are colored with Blueprint Sketch and Dusty Concord Distress Inks. Along the bottom left side of the page I used some blue and silver sprays, and attached the purple Chipboard flourish, where I added the colored flowers that were both originally a light blue. 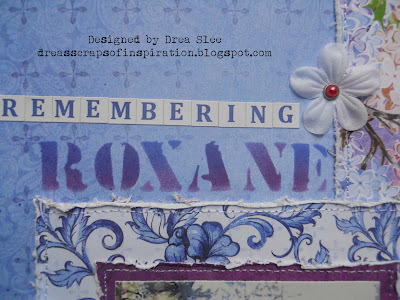 I left the white one alone, where I added "Remembering" with the alpha stickers that come in the 12 X 12 Collection Pack. To spell her name, I used BluePrint Sketch and Seedless Preserves Distress Inks with the Tim Holtz Cargo Alphabet Stencil and my Blending Tool. Make to sure to check out FotoBella for all of the latest supplies you may need, and of course to pick up this gorgeous Bo Bunny Secret Garden I Want It All Bundle!! Have a great day!